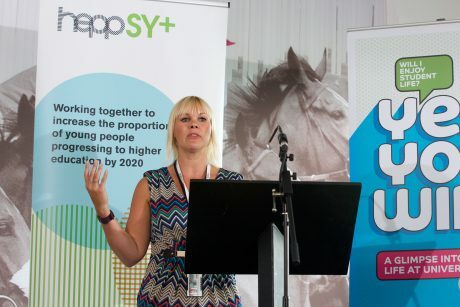 Over 70 representatives of schools, colleges and universities from Sheffield City Region gathered at Doncaster Racecourse on Wednesday 12th July to find out about progress of the Hepp South Yorkshire Plus (HeppSY+) programme launched in spring 2017. Speakers included Julian Crockford of the University of Sheffield’s Widening Participation Research & Evaluation Unit, Donald McLean, Vice Principal of Longley Park Sixth Form College, and Mike Garnock-Jones, Director of Hepp, as well as representatives of Rawmarsh School and Thomas Rotherham College, amongst others. The audience included representatives from the 31 target schools and five colleges currently working on the programme. HeppSY+ is focused on young people from Year 9 who live in 45 target wards across South Yorkshire and neighbouring areas. The evidence shows that higher education participation of young people in these 45 wards is both low and much lower than expected based on GCSE-level attainment. 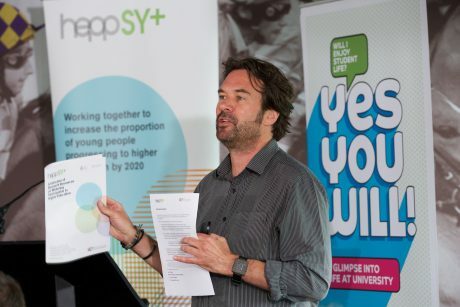 The aim of HeppSY+, which is funded through the government’s National Collaborative Outreach Programme, is to double the number of young people from these target areas accessing higher education. 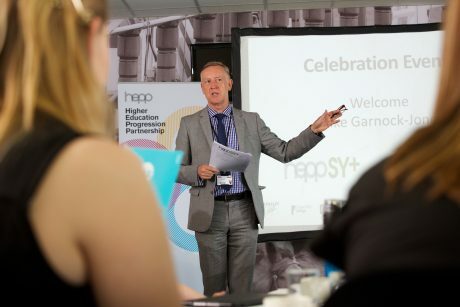 HeppSY+ will build on the outreach work of the existing Higher Education Progression Partnership funded by Sheffield Hallam University and the University of Sheffield, working with five colleges of further education across Sheffield City Region. HeppSY+ will provide additional resources to expand existing activity and enable creativity and innovation, focusing work through schools and colleges but also community groups to reach parents and young people directly. Further information about the HeppSY+ programme is available on this website.